The term LFTs includes measurement of liver enzymes, tests of liver synthetic function, as well as serum bilirubin. The commonly measured liver enzymes include 1) serum aspartate aminotransferase (AST or SGOT), 2) serum alanine aminotransferase (ALT or SGPT), 3) serum alkaline phosphatase (AP), and 4) serum gamma-glutamyl transpeptidase (GGTP). Tests of hepatic synthetic function include serum albumin and prothrombin time. Both ALT and AST are found in the cytosol of hepatocytes. AST, however, is also found in the mitochondria of cardiac cells, skeletal muscles, and also in the blood. For this reason, ALT is more specific for hepatocellular injury and death compared with AST. More information to follow in the Pathophysiology section. ALT and AST elevations usually represent hepatocellular injury while elevations in AP and GGTP represent cholestasis. Most patients with elevated liver enzymes are asymptomatic. Others may experience right upper quadrant pain, fatigue, weakness, and vague viral symptoms such as myalgias and arthralgias. Some patients may have symptoms of decompensated liver failure such as edema and ascites, encephalopathy, gastrointestinal bleeding related to portal hypertension and coagulopathy. Fevers, chills, excessive itching and jaundice from hyperbilirubinemia may be present in other patients. Patients with hyperbilirubinemia may notice a change in the color of their urine (tea-colored) and stools (clay-colored). Patients with liver failure who are critically ill in the intensive care unit may even become hypotensive, hypothermic, and septic. As with any other condition in medicine, the patient’s airway, breathing, and circulation should be priority. After achieving hemodynamic stability, the liver enzyme abnormality should be confirmed by repeating a liver chemistry panel. After confirmation, management should be targeted at 1) preventing further liver injury by correction of the offending factor(s), 2) reversing the injury that has occurred, and 3) identifying the etiology expeditiously. Some patients may be candidates for liver transplantation, and this option should be considered early on in patients who meet appropriate criteria. In critically ill patients, it is of utmost importance to make sure that the blood pressure and oxygenation are within acceptable range in order to attain appropriate perfusion to the liver. Patients with myocardial infarction or those in septic shock drop their blood pressure/oxygen saturation causing ischemia to the hepatocytes thus leading to hepatocellular injury, and as a subsequence, elevated liver enzymes, a condition known as shock liver or ischemic hepatopathy. For this reason, it is important to aggressively resuscitate those patients with intravenous volume—be it normal saline, packed red blood cells, especially in cases of hypovolemic shock from acute blood loss. For patients with severe arterial hypoxemia, appropriate corrective measures (i.e., mechanical ventilation) need to be addressed. Having stabilized the patient, the next step is to review the patient’s history and make sure that the patient does not have prior history of liver disease that is now decompensating secondary to the acute illness (a condition described as acute on chronic liver failure or ACLF). Special emphasis should be laid on risk factors for acute/chronic liver disease; a thorough review of medication history (including all prescription and non-prescription medications, use of over-the-counter agents and herbal remedies); recent surgical procedures (type of anesthetic agent used); travel history; exposure to pets; family history of liver disease; other autoimmune disorders. It is important to also consider non-hepatic causes of elevated liver function tests in critically ill patients such as hemolysis, thyroid disease, as well as rhabdomyolysis. Hemodynamic stability and arterial oxygenation should be addressed first. Fluid resuscitation, transfusion of blood products, as well as vasopressor support may be required in cases of systemic hypotension. Similarly, endotracheal intubation and mechanical ventilation may be necessary for those patients with significant arterial hypoxemia; respiratory depression; those who cannot protect their airway due to hepatic encephalopathy or altered mental status resulting from drug overdose. 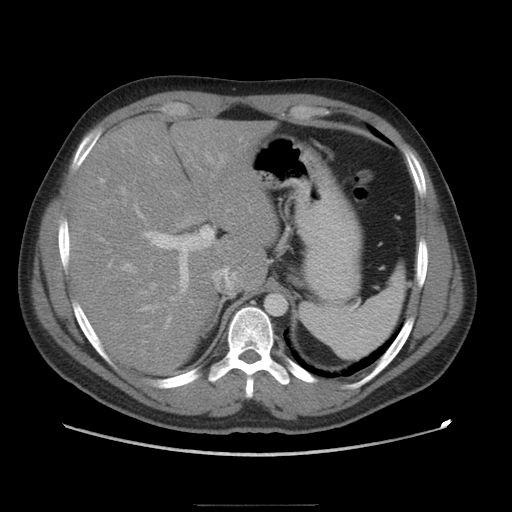 Following stabilization of the patient, prompt identification of the etiology of the acute liver injury is key to prevent ongoing hepatocellular dysfunction. Decompensated liver disease can lead to severe alterations in coagulopathy that must be corrected promptly to ensure patient stability (especially if procedures need to be performed in these patients such as arterial line placement, central venous access, or other invasive procedures). Timely detection and management of hepatic encephalopathy is an additional step in the initial stabilization of the patient. In patients with acute hepatitis and acute liver failure, an extensive workup and early empiric therapy should be initiated. Early referral to a liver transplantation center is highly recommended in patients meeting criteria for acute/fulminant liver failure. For patients who are suspected to have an acetaminophen overdose (Figure 1 and Figure 2), N-acetylcysteine (NAC) infusion should be started. There are two effective accepted NAC protocols, the 20-hour intravenous (IV) protocol and the 72-hour oral protocol. Acetaminophen toxicity on CT scan. Patients receiving the 20-hour IV protocol end up receiving a total of 300 mg/kg of IV NAC over a 21-hour period comprising of an initial loading dose of 150 mg/kg IV over the first hour, followed by 12.5 mg/kg per hour infusion over the next 4 hours, and then 6.25 mg/kg per hour infusion for the last 16 hours. In patients who continue to have elevated ALT levels and in those who have had larger ingestions and continue to have detectable acetaminophen levels after the 21 hours of treatment, then the duration of therapy must be prolonged. Those patients should continue to receive NAC at 6.25 mg/kg per hour IV with blood work evaluation every 12 hours to check ALT and acetaminophen levels. Once the acetaminophen level becomes undetectable, the ALT becomes down trending, and when the international normalized ratio (INR) is less than 2, the infusion can be stopped. The 72-hour oral protocol includes a loading dose of 140 mg/kg of NAC by mouth followed by 70 mg/kg of oral NAC every 4 hours for a total of 17 doses. Duration of therapy, as above, depends on the ALT level, the acetaminophen level, as well as the patient’s INR. In acute hepatitis B which is severe (INR >1.5; or protracted course/persistent symptoms; bilirubin >10 mg/dL for more than 4 weeks), antiviral therapy (tenofovir or entecavir) should be considered. In patients with hepatitis B virus reactivation, antiviral therapy should be considered. Empiric antiviral therapy with acyclovir needs to be instituted in patients with suspected acute herpes simplex virus (HSV) hepatitis. In patients with known autoimmune hepatitis who present with an acute exacerbation, empiric therapy with corticosteroids should be implemented. An acute vascular derangement of the liver such as acute hepatic venous thrombosis (Figure 3) or portal venous thrombosis (Figure 4) requires the institution of systemic anticoagulation. Hepatic veno-occlusive disease (VOD), also called sinusoidal obstruction syndrome (SOS), is a potentially life-threatening complication of hematopoietic stem cell transplantation (HSCT). Defibrotide, now FDA approved, has shown promising efficacy in management of hepatic VOD/SOS with multi-organ failure. 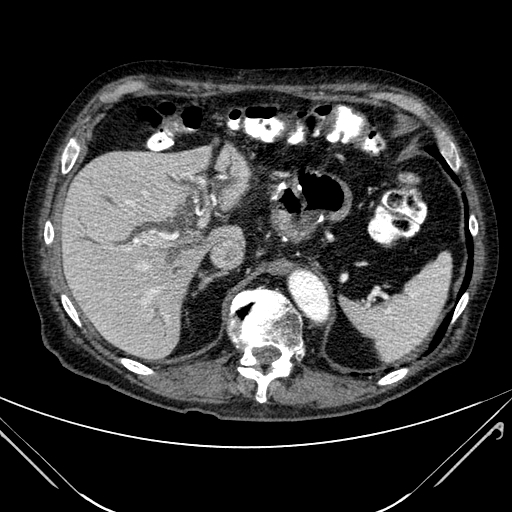 Acute hepatic vein thrombosis on CT scan. 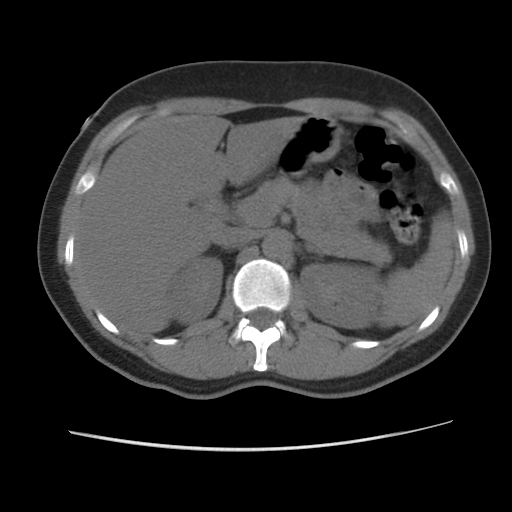 Acute right portal vein thrombosis on CT scan. Please note that the drug dosages need to be adjusted for renal/hepatic dysfunction accordingly. For coagulopathy: phytomenadione (vitamin K) 10 mg IV daily, IV fresh frozen plasma, cryoprecipitate infusion, Kcentra (Prothrombin Complex Concentrate Human), and the use of recombinant factor VII. For acetaminophen-related hepatotoxicity, please see details above regarding the use of NAC. For HSV hepatitis: acyclovir 10 mg/kg IV every 8 hours. For autoimmune hepatitis: IV methylprednisolone 1 mg/kg daily. For hepatic encephalopathy, lactulose by mouth as needed, rifaximin by mouth 550 mg BID. For hepatitis B viral infection, consider entecavir 0.5 mg by mouth once daily or tenofovir 300 mg by mouth once daily. Drug induced liver injury (DILI) is not uncommonly encountered in patients presenting with acute hepatitis, accounting for up to 30% of patients. The most common cause of DILI is attributed to acetaminophen followed by antibiotics (specifically amoxacillin/clavulanate), anti-epileptic agents (sodium valproate, carbamazepine), and isoniazid. Different drugs cause different patterns of acute enzyme elevation. Drugs that are known to cause hepatocellular injury include acetaminophen, allopurinol, aspirin, buproprion, fluoxetine, halothane, isoniazid, ketoconazole, lisinopril, losartan, methyl-dopa, paroxetine, pyrazinamide, risperidone, ritonavir, sertraline, statins, tetracycline, trazodone, thiazolidinediones, trovafloxacin, and valproic acid. Drugs that cause cholestatic liver injury include amoxicillin/clavulanate, ACE-inhibitors, chlorpromazine, clopidogrel, cytarabine, efavirenz, erythromycin, estrogen, ezetimibe, irbesartain, nafcillin, phenothiazine, rosiglitazone, steroids, sulindac, tricyclics, bactrim (trimethopim/sulfamethoxazole), and amiodarone. Abnormal liver enzyme elevation in a mixed pattern is seen with the use of amitryptilline, azathioprine (cholestasis predominant), angiotensin converting enzyme (ACE) inhibitors, carbamazepine (cholestasis predominant), clindamycin, diclofenac, ethanol (hepatocellular predominant), ibuprofen, ketoconazole, nitrofurantoin, phenobarbital, phenothiazines, phenytoin (hepatocellular predominant), rifampin, and sulfonamides. When evaluating critically ill patients in the intensive care unit for abnormal liver enzymes, the differential diagnoses should be kept very broad. These patients usually suffer from multi-organ failure that may directly and indirectly contribute to the liver enzyme abnormality or even predispose the liver to certain conditions causing acute liver injury. When first evaluating patients with elevated liver enzymes, it is important to look for historical laboratory data and compare the trends over a time period. It is critical to identify potential insults that may have occurred around the time of the enzyme elevation. As with any illness, thorough review of the patient’s medical history, social history, family history, as well as drug use, be it a prescribed medication such as an antibiotic, over-the-counter drug such as acetaminophen, or recreational drugs like cocaine, is crucial to identifying the possible etiology of the liver enzyme abnormality. It is also important to check the hepatic synthetic function by reviewing the patient’s albumin and prothrombin time/INR. Physical examination also helps guide with diagnosis, especially if patients exhibit signs of chronic liver disease such as spider angiomata, palmar erythema, and caput medusae. Checking for signs of hepatic decompensation including ascites, edema, hepatic encephalopathy, asterixis, and jaundice also help. The first clinical entity that should be excluded is the life-threatening acute liver failure. 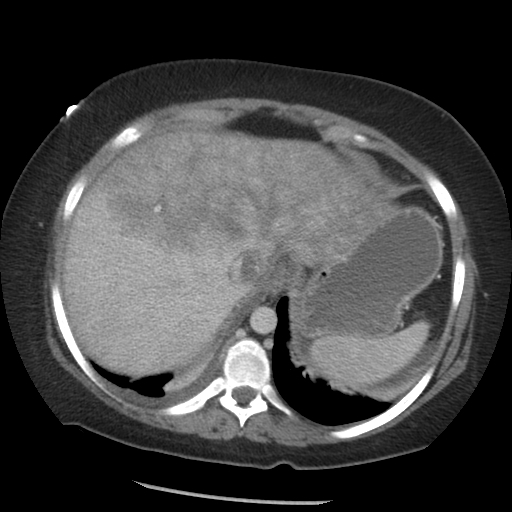 Acute liver failure is defined as sudden severe liver injury in a patient with no pre-existing liver disease (except in patients with Wilson’s disease and chronic hepatitis B). These patients manifest with hepatic encephalopathy and/or coagulopathy within 8 weeks of the onset of jaundice. Patients with acute decompensation of prior chronic liver disease can also have similar clinical presentations and are categorized as ACLF. These patients tend to have a better prognosis with improved survival and spontaneous recovery although a proportion will often require liver transplantation. Sifting through the laboratory data, the clinician must try to categorize the pattern of liver function abnormality. It is important to determine the degree of enzyme elevation. Mild (less than 3 times the ULN of ALT and AST): These cases include chronic hepatitis B viral infection, chronic hepatitis C viral infection, hemochromatosis, as well as patients with non-alcoholic fatty liver disease (Figure 5 and Figure 6). Moderate (3 to 20 times the ULN of ALT and AST): These cases include causes for minor elevations as well as alcoholic hepatitis (AST:ALT in 2-3:1 ratio), acute viral hepatitis (ALT:AST in 1:1 ratio), non-alcoholic steatohepatitis, autoimmune hepatitis, and Wilson’s disease. High (greater than 20 times the ULN of ALT and AST): These patients tend to have either DILI (mainly acetaminophen induced), acute viral hepatitis, autoimmune hepatitis, ischemic hepatitis, or Wilson’s disease. 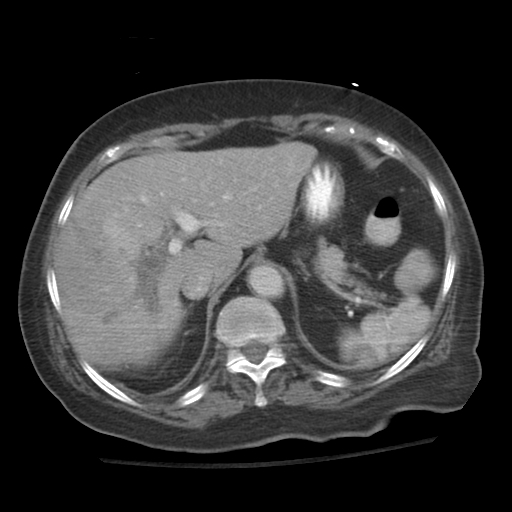 Fatty liver disease on CT scan. 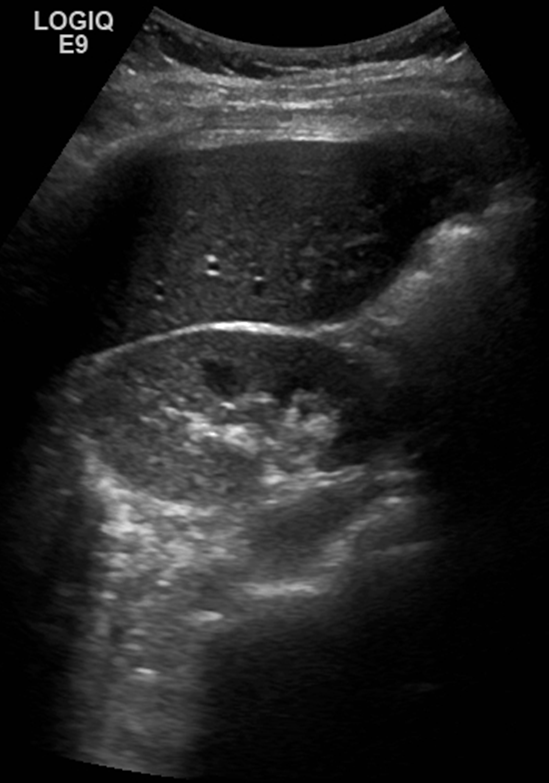 Fatty liver disease on ultrasonography. The following conditions should be considered in patients who present with a hepatocellular pattern of enzyme elevation as well as jaundice. Environmental toxins including vinyl chloride, wild mushrooms (Amanita phalloides), etc. The following conditions must be considered in cases where the liver enzyme elevation pattern is cholestatic. Biliary ductal dilatation on CT scan. In patients with overt or covert alcohol abuse, alcoholic hepatitis should be considered. This diagnosis should be entertained when the AST:ALT ratio is greater than 2 to 3:1. In patients with increased body mass index or non–insulin-dependent diabetes mellitus, non-alcoholic steatohepatitis should be high on the differential. In patients with a history of IV drug use, high-risk sexual behavior, birth in an endemic region, chronic hepatitis B should be considered. In patients with non-sterile needle use and those patients who received blood transfusions prior to 1990, chronic hepatitis C should be considered. DILI should be highly suspected in patients with a medication history that has a temporal relationship to the liver functional abnormality. A family history of liver disease should make one think about Wilson’s disease and hemochromatosis. In patients with a history of autoimmune disease, primary biliary cirrhosis and autoimmune hepatitis should be considered. In patients with recent travel to developing countries, the possibility of hepatitis A or E should be entertained. In patients with diarrhea, the diagnosis of PSC should be considered. Consideration should be given to EBV hepatitis or CMV hepatitis in patients with immunocompromised states (e.g., solid organ transplant recipients; immunomodulation therapy; chemotherapy, etc.). In patients with underlying primary/secondary hypercoagulable states, thromboses of the portal venous system and hepatic venous system can occur in critically ill patients resulting in significant liver function test abnormalities. A readily available bedside diagnostic tool for evaluation of the hepatic vasculature is Doppler sonography of the liver. Hepatic arterial thrombosis, though uncommon, should be suspected in appropriate clinical situations (i.e., following liver transplantation). Hematologic malignancies (i.e., hepatic involvement secondary to a lymphoma or leukemia) should be suspected based on the recognition/detection of specific clinical/radiographic/laboratory abnormalities. The liver is a vital organ that is responsible for many important processes necessary for survival. The liver is responsible for detoxification and the production of certain digestive biochemicals including bile and the production of coagulation factors, albumin, and a multitude of other basic compounds. It performs several roles in carbohydrate metabolism including gluconeogenesis, glycogenesis, and glycogenolysis as well as lipid metabolism including cholesterol and triglyceride production. Through the transaminases, the liver is able to produce and utilize amino acids resulting in protein synthesis. The transaminases, also referred to as aminotransferases, consist of the two enzymes; AST (SGOT) and ALT (SGPT). Usually, the serum concentrations of those enzymes are low, because they are located inside the hepatocytes. If liver injury occurs, the hepatocyte cell membrane permeability changes becoming leaky causing those enzymes to enter the blood. This is evident by the elevation of those enzymes on blood tests. Although both ALT and AST are sensitive for hepatocellular injury, ALT is more specific. AST is found in the cytosol and mitochondria of hepatocytes as well as cardiac cells, skeletal cells, and to a lesser degree in the kidney, brain, pancreas, and lung tissues. ALT, in comparison, is only found in the cytosol. Although it is also found in many organs, it is mainly found in the liver. It is important to note that ALT has a longer half-life compared with AST, so the blood stream elevations tend to last longer. AP is a liver enzyme located on the membranes of hepatocytes that border the biliary canaliculi. This enzyme is mainly found in liver and bone tissue, but is also found in placental tissue, small intestines and kidneys. Hepatobiliary disease causes increase synthesis of AP in the liver as well as its leakage into the serum. Isolated AP enzyme elevation should initially aim at localizing from which organ the AP is coming. Checking the level of GGTP or 5′-nucleotidase in those cases aids in diagnosing biliary disease as the etiology for the AP elevation. The literature is sparse with respect to the true prevalence/incidence of elevated liver enzymes in the critically ill patient. Population-based studies show that the prevalence of elevated liver enzymes in healthy individuals is up to 9%. The prevalence of abnormal liver enzymes in hospitalized patients is even higher; approximately 25% to 33% of inpatients have an abnormality in at least one of their liver enzymes at some point during their hospitalization. All nursing units should have a protocolized approach to the management of patients with abnormal liver injury tests. Other consultants who would be involved in the care of such a patient would be gastroenterologists, hepatologists, nephrologists, neurologists, infectious disease physicians, hematologists, transplant surgeons, and neurosurgeons. Ostapowicz, G, Fontana, RJ, Schiodt, FV. “US Acute Liver Failure Study Group. Results of a prospective study of acute liver failure at 17 tertiary care centers in the United States”. Ann Intern Med. vol. 17. 2001. pp. 947-54. Mindikoglu, AL, Magder, LS, Regev, A. “Outcome of liver transplantation for drug-induced acute liver failure in the United States: analysis of the United Network for Organ Sharing database”. Liver Transpl. vol. 15. 2009. pp. 719-29. Ioanou, GN, Boyko, EJ, Lee, SP. “The prevalence and predictors of elevated serum aminotransferase activity in the United States in 1999-2002”. Am J Gastroenterol. vol. 101. 2006. pp. 76-82. Kundrotas, LW, Clement, DJ. “Serum alanine aminotransferase (ALT) elevation in asymptomatic US Air Force basic trainee blood donors”. Dig Dis Sci. vol. 38. 1993. pp. 2145-50. Hultcrantz, R, Glaumann, H, Lindberg, G, Nilsson, LH. “Liver investigation in 149 asymptomatic patients with moderately elevated activities of serum aminotransferases”. Scand J Gastroenterol. vol. 21. 1986. pp. 109-13.